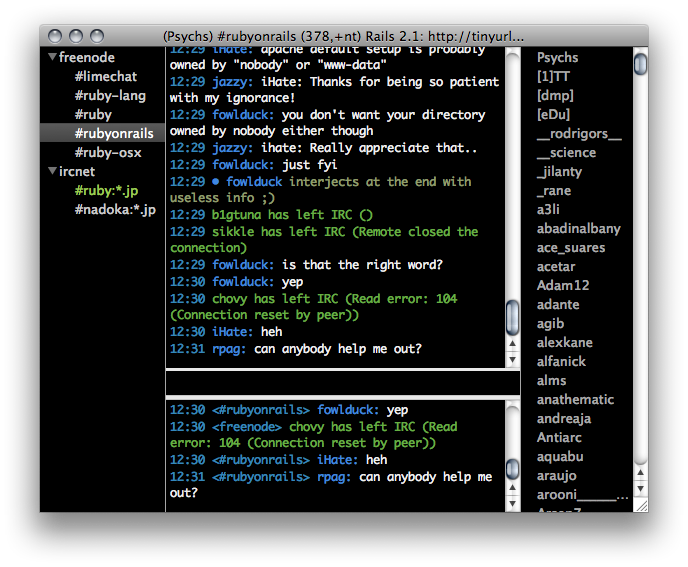 LimeChat is an IRC client for Mac OS X. One window for multiple servers. 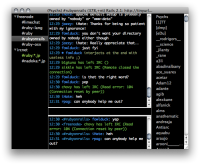 Rich keyboard shortcuts for your comfortable operations. Move to the next unread channel. Move to the previous unread channel. Move back to the previously selected channel. Move to the previous/next active channel. Move to the previous/next channel. Move to the previous/next active server. Move to the previous/next server. Move to the 1st .. 10th channel in the current server. Move to the 1st .. 10th server. I'll be glad if you would like to donate. Your donation will help further development.